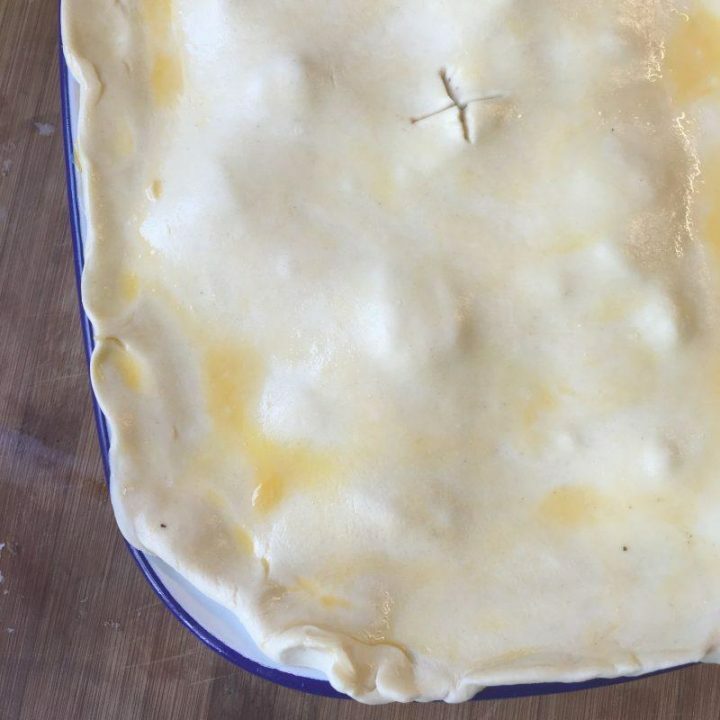 Steak and Kidney Pie has to be one of my favourite savoury dishes to make. If I’m being honest its one of my favourite to eat too. 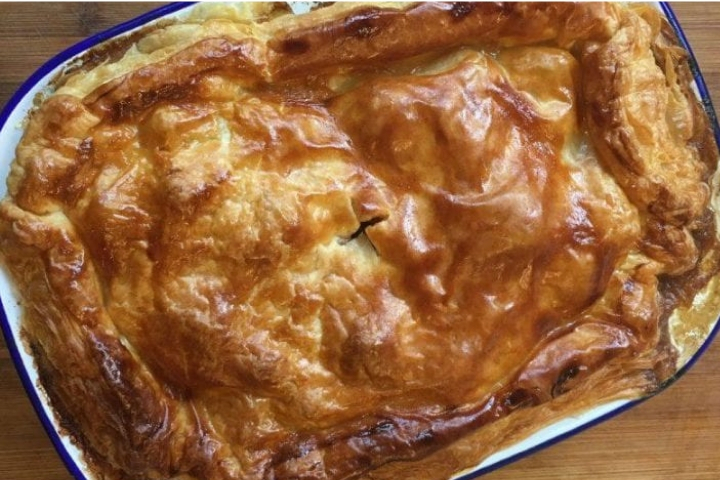 Big chunks of meat cooked in stock and Guinness topped with golden puff pastry. My mouth is watering at the very thought of it! When I am making steak and kidney pie I always purchase my steak and kidney from a butcher. I purchase most of my meat from my local butcher. I love how knowledgeable they are. How they have such great quality and a much better range of cuts available. they are knowledgeable on how best to cook each cute. Yes, you may pay a little more than a supermarket but I think the quality comes through with the taste. If I’m spending valuable time cooking, I want my meal to taste as good as it possibly can. 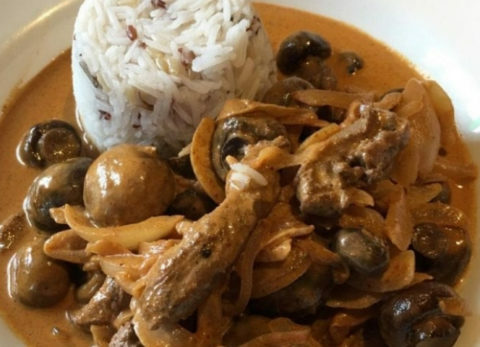 I start by cutting my steak and kidney (about 800g to feed 4) in to bite size pieces. Even from a butcher I tend to find I can cut the chunks of steak in to 2 or 3 pieces. I then brown the meat in small batches until brown like the picture above. I’m not cooking it at this point just sealing the juices in. I added a little stock and 1/2 can of Guinness (boil to remove alcohol first) which I had mixed in some corn flour to thicken the gravy and teaspoon of mustard. If you aren’t a fan of kidney this could be exchanged for mushrooms. To make the steak and kidney pie I place the meat in an oven proof dish. I find this wide rimmed enamel dish excellent for a family pie like this. 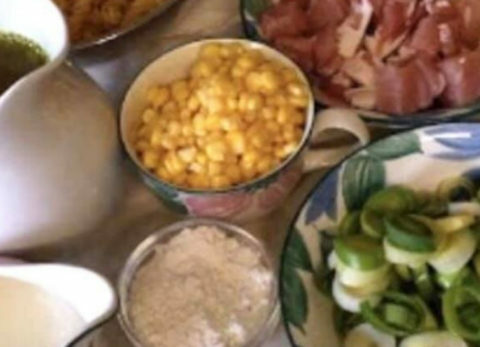 For me, I love home cooking everything but there are times when life is too short due to family and work conditions and I run to the ready made pastry! This is puff pastry and I love a flaky pastry topping on my steak and kidney pie. I put water around the tin rim and placed the pastry on top adjusting it to the shape of the tin, curling the corners round then pinching the edge with my finger and thumb. I then brushed the pastry with a fresh egg laid by our gorgeous hens. Their yolks are so yellow from all the lovely rich corn they are feed as treats. Cook until the pastry is golden brown, about 30 minutes. 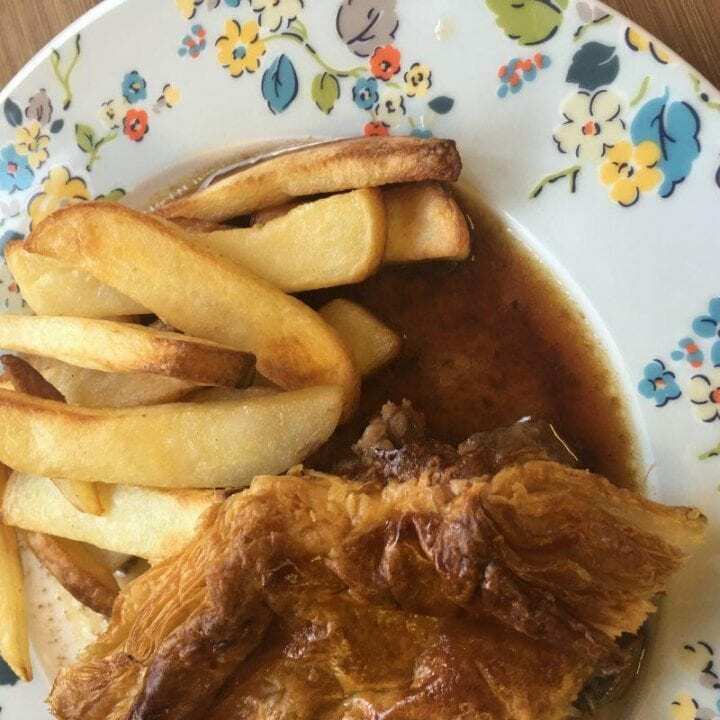 For me homemade steak and kidney pie just has to be served with chunky chips and a little gravy. Hello. I’m Candace, a 40 something blogger. 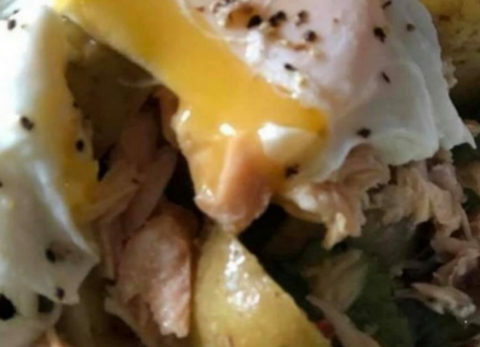 This blog is my little space on the web where I write all about the foodie things in my life….recipes, kitchen gadgets, restaurant reviews and afternoon tea. As a welcome gift, we have a savoury scone recipe for you to bake & enjoy at home. Just pop your details in the boxes below. As members of our Baking Club you will receive a monthly newsletter containing blog updates, offers and kitchen hacks that you won’t find on the blog. As a thank you from us you will also receive a monthly free recipe. All content is © 2016-2019 Candace’s Kitchen. All rights reserved. Please do not take images or content from this site without written permission. Candace’s Kitchen is part of the Buckets Of Tea group of blogs. Email hello@bucketsoftea.co.uk for further information.